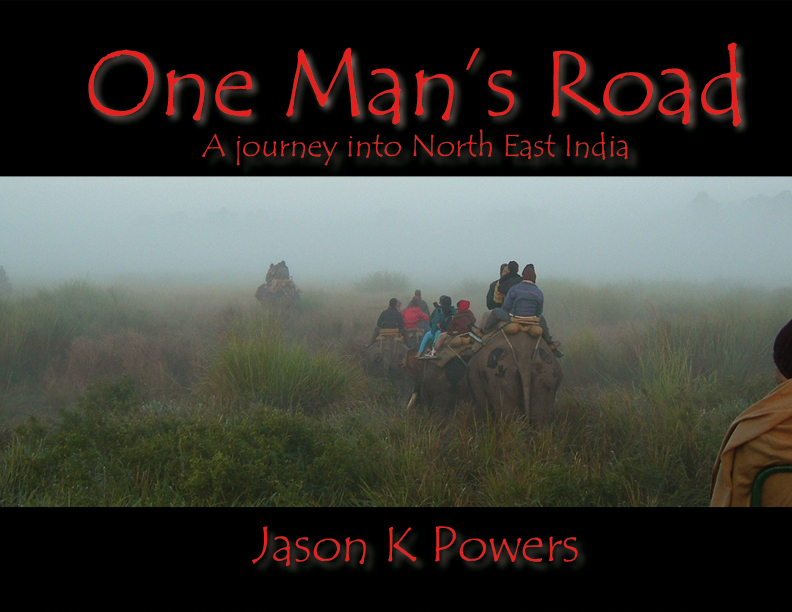 One Man’s Road is an eye catching photographic memoir by Jason K Powers, full of his photography and stories depicting his journeys through North East India over the years. I look back over my life and wonder sometimes, how I got here. I look at the chain of events that took place from years before that led to an open door and to another door, and another and another, and then one day I woke up in the jungles of North East India. I truly have been blessed in this life. I have traveled from the mountains of the Rockies in Colorado to the jungle hills of North East India. I’ve seen a man catch fish bare handed in a river running through the jungle, and seen the white Rhino of Kaziranga while trekking on elephant back. I have sat with a man nearly 100 years old, born a true miracle of God, and listened to his stories. I’ve missed bombs by hours, more than once; seen a snake bitten man kept in a cage to protect a village from his insanity; dined with local leaders and government officials, and slept on the dirt of villages that aren’t even on the maps. I have seen the stark contrast of a Christian Mother Theresa’s Home for the Destitute sitting ten feet away from the Hindu Kali Temple, the goddess of time, or death. I was among a group of friends who, according to the village, were the first foreigners to visit their village in over 120 years and I’ve walked in the footsteps of some of the great pioneering missionaries who first came to this area back then. This book is a collection of stories and photographs from my journeys in India. There is absolutely no way to tell this story without telling you about God in my life, and I hope to show you how true that is. I hope to give you at least a small glimpse into this great land of North East India. Lastly, my hopes are that these photographs will inspire you to truly see the world around you, anywhere you are, and know its beauty woven within. Let me take you there. Let me share my story… just one man’s road.